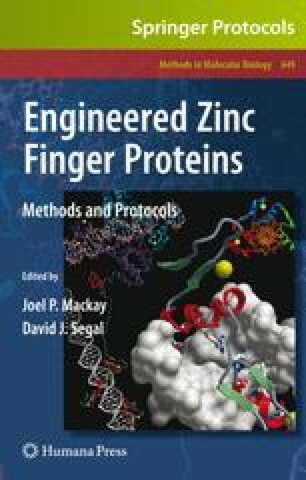 Artificial transcription factors (ATFs) consist of a transcriptional effector domain fused to a DNA-binding domain such as an engineered zinc finger protein (ZFP). Depending on the effector domain, ATFs can up- or downregulate gene expression and thus represent powerful tools in biomedical research and allow novel approaches in clinical practice. Here, we describe the construction of ATFs directed against the promoter of the epithelial cell adhesion molecule and against the promoter of the RNA component of telomerase. Methods to assess DNA binding of the engineered ZFP as well as to determine and improve the cellular effect of ATFs on (endogenous) promoter activity are described.